If you open your back door and encounter a kitty that doesn't belong to you, you already know how difficult it is to know what to do with stray cats. The best way to help is to care for the cat's basic needs and learn some tips for reuniting the kitty with her owner. Is It Really a Stray Cat? Stray cats differ from feral cats in that a stray has clearly been someone's pet and is not overly afraid to approach humans. Many people still allow their pets to roam outdoors, in spite of the dangers they face from speeding cars and rabid raccoons. 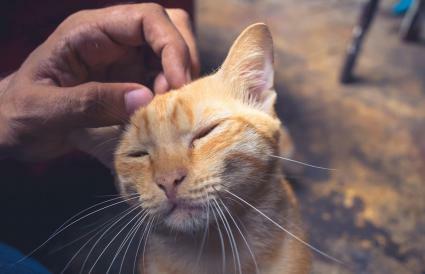 If you have a cat coming around to your house begging handouts, he may have a perfectly adequate home to go to, and just enjoys making the rounds. You may discover your neighbors are also feeding the same supposed stray. If the begging cat looks well-fed and well-groomed, he's probably not a stray at all, but simply an opportunist. On the other hand, a stray cat with sunken hips and ribs showing is in dire need of food and shelter. This could be a cat who has gotten lost from his family (and cats do get lost, especially if his people have recently moved), or has been abandoned. It is unfortunate but true that many people will move away and leave their cat behind to fend for himself, on the premise that he can always find a good home or feed himself. In truth, cats left behind when their owners move are unprepared to survive on their own and only have a rudimentary understanding of hunting. They survive by going through garbage and begging from kind strangers. What Does It Mean When a Stray Cat Comes to Your House? Sometimes stray cats will pick a particular house to hang around for reasons only known to the cat. Most likely a cat has fixated on your house because the location feels safe to him, such as a low traffic, quiet area like a cul-de-sac. 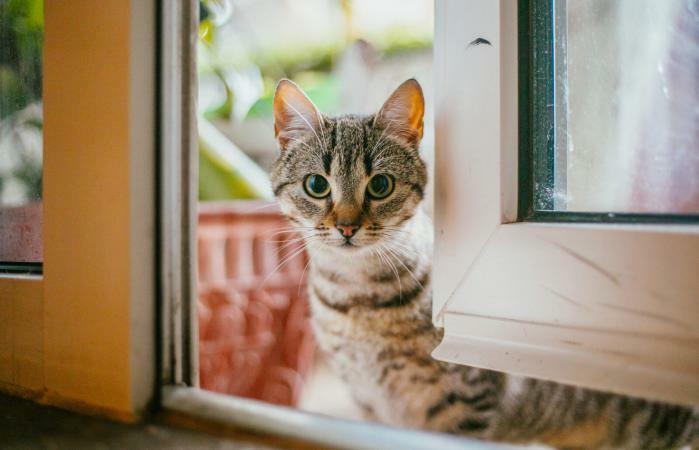 Check to see if there are hiding places on your property that might attract a stray cat or easily accessible garbage cans for food. He may also sense other cats nearby and is attracted to them. If you've just moved into a home and a cat is hanging around, it's possible the previous owners abandoned the cat and he's sticking close to the only home he's known. The first thing you should do is focus on the cat's immediate needs which are probably food and water. Start by setting out food and water for the cat. If the cat is wary of your approach, just leave the food out and let him eat in peace. If the cat won't allow you to approach, give him time to get used to your distant presence, and over time, move in a little closer. Soft words and food can win the cat over much of the time as long as you are patient and give respect the cat's nervousness. If you can't get the cat to come near you after some time, you may want to use a trap. Some local municipal and private shelters rent these out, or you can get them at many home supply stores like Walmart. 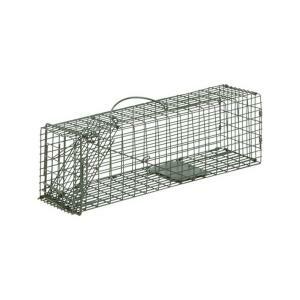 Bait the trap with some very enticing food, like some oily tuna or wet cat food and place it in a quiet area, and wait for the cat to decide to go in. Once you have the cat trapped, you can bring it to your local shelter to give the cat's owners a chance to find it. Many people unfamiliar with animal shelters will object to the idea of bringing a stray cat there as they fear it will be euthanized. Euthanasia is a possibility if the cat is aggressive or has serious medical issues or if the shelter is out of space, but most shelters want to find homes for healthy cats if they can. If the cat is truly lost, consider that it may have owners desperately searching for it, and the shelter is the place where they will be able to find their lost pet. A shelter can also scan the cat for a microchip to locate its owners. If you truly are concerned, most shelters will allow you to place a limited hold on the cat which means if it is not claimed by its owners after a certain waiting period, you can be first in line to adopt it. Another alternative to bringing the cat to the shelter is keeping it at home while you conduct a search his people. If you do, keep him separate from your family cats until he has been examined by a vet and tested for infectious diseases. It would be heart-breaking if your act of kindness cost you the health or lives of your own pets. Likewise keep him separated from children in the home if you have any. Since you don't have a health history on the cat, you don't want a frightened stray to scratch a child and lead to an infection. Ask the veterinarian to scan the cat for a microchip as most veterinary clinics are able to do this. Take good photos of the cat and create flyers with descriptive information on the cat and your phone number and email address. Take several to your local shelters and give to the staff so they are aware that you are caring for a lost cat. Place the flyers in local veterinary clinics and around the area the cat was found as well. You may also want to ask veterinary clinic staff directly about the cat as they may recognize it as a client's pet. Post flyers in other heavily trafficked areas in your vicinity where flyers are allowed. This can include coffee shops, the post office, pet stores, schools and gyms. See if there are any local pet-focused Facebook groups for your area. Some cities even have Facebook groups dedicated just for lost/found pet postings. Post a photo and information on the cat on your own personal Facebook page and ask your friends to forward it to their online contacts. Please found pet ads for free on CraigList and NextDoor. Use smartphone apps such as PawBoost to list information on the cat. What Happens If You Can't Find the Owner? If you can't find the owners of the stray, or you find out that he has been abandoned by moving neighbors, your next decision is what to do with the cat? If you want to keep him, congratulations, you now have a new cat. Take him to your vet's and make sure he has all his shots and has been neutered. If you would love to keep him but already have too many pets, or your existing pets veto his inclusion in your family, see if you have family or friends who would like to take him. If you're able to keep him for some time, consider fostering him and finding a home for him. You can place adoptions ads on CraigsList, NextDoor and Facebook and place flyers in veterinary offices and pet stores. Some shelters and rescue groups will be happy to help you find a home for the cat if you're willing to house him in the meantime and will list him on their website with other adoptable cats. Talk to your local shelter and rescue groups if you are unable to foster. Just because a shelter isn't labeled as "no-kill" doesn't mean they can't find your cat a great home. Talk to the staff and volunteers about their placement rate and see if you can do more to help promote the cat while he stays at the shelter. Consider becoming a volunteer yourself! Private rescue groups have no time limit on how long cats can stay with them, but they depend on foster homes and may only be able to take the cat if they have an open spot. You can also talk to your veterinarian as some clinics will keep cats available for adoption or will at least be willing to promote them to their clients. 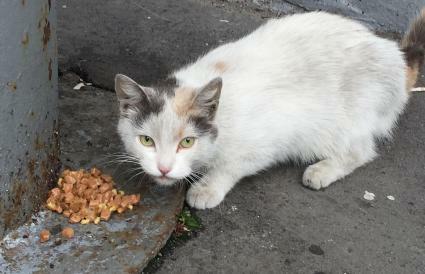 Looking after stray cats can be a wonderful experience and is the way many people acquire their heart's best pet. Who knows, maybe there's a stray in your future? Just be sure to take precautions if you have other pets or kids and make an effort to find the cat's owners before you decide to adopt the cat.